2012-13 Yearly results & Champion! It is a bittersweet day around here at the Gameday blog. The results for the season are in, and that means that we crown a new champion as we put the season to bed. I found it interesting that both last year’s bowl champion (Tony Reali) and last year’s season champion (Jesse Palmer) both were not in the competition. Tony Reali had no picks this year, and Jesse Palmer only had ten picks (going 7-3 overall). This year, Ryen Russillo was on top of the leaderboard going 18-5 (78.26%) but 23 picks is not enough to be a champion around here. Therefore, I am proud to bring you this year’s grand champion: Tom Luginbill at 58-17 (77.33%). We had a handful of experts going into bowl season who were within reach of the coveted 80% barrier for the season. Big names including Tom Luginbill, Lou Holtz, Pat Forde, Mike Bellotti, Colin Cowherd and so on. Pat Forde had been on a tear this year sitting at 75.84%, but tanked the bowl season going 18-17. Lou Holtz was at 75% even, but only picked two bowl games and got them wrong. Cowherd and Bellotti both had a shot, but average finishes weren’t enough to boost them over the top. Tom Luginbill was at exactly 80% headed into bowl season, but a 6-4 finish dropped him a few points which was still good enough for the gold. Below you will find the full slate of results for the year, with the minor experts listed below (those who only picked a few games). Our rookie of the year has to be Dari Nowkhah coming in at 72.6% in his first season here. 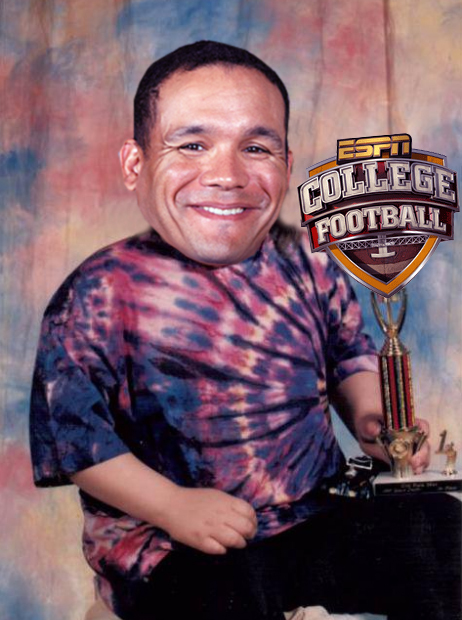 He took on the hosting duties on the new ESPN show College Football Daily, which is the spiritual successor to the greatly missed “Palmer & Pollack”, and he did pretty well. Mark Schlabach did nicely this year at 64.41%, which was good enough to bring him up from last place in the all-time rankings (now taken on by Mike Greenberg after a disastrous bowl season). Celebrity guests on Gameday did pretty crappy, so let us shame them at 55.65%. Brian Griese is our anti-rookie of the year at 57.45%. Last but not least, I really do have to give props to Lou Holtz. In years past he has picked Notre Dame to win virtually every game they play, and this year he went bananas at 72.58% right. I would have loved to have seen how smug he would have been if ND won the championship, but oh well. I’m sure he’ll be back next year to pick them every game. Thanks for reading; its been a great season. Check back next August when things get going again. Who knows, maybe this offseason I’ll write some bonus material here too. 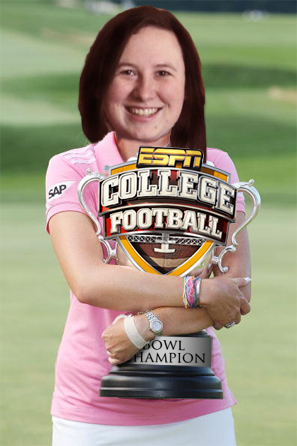 2012-13 Bowl Season: Results & Champions! While we have 30+ bowl pickers, we only have a few competitors who qualify for the championship due to the amount of games picked. The eligible competitors are Colin Cowherd, Jennifer, Mark Schlabach, Mike & Mike, Pat Forde, Robert Smith and Todd McShay. Each of them picked the full slate of bowl games, while everyone else just chimed in for a few games. Before crowning a champion, let me also explain the curious case of one Todd McShay. On this year’s Bowl Mania Special on ESPN, prior to any of the bowls kicking off, he picked all of the games with his confidence points. In his picks from this special, he went 22-13. On his ESPN.com Bowl Mania group, he picked a slightly different slate of games with a few being different, but also went 22-13 on his Bowl Mania group. The reason he is being dropped to 21-14 in the official record is because on the Rose Bowl pregame show, he came on about ten minutes before kickoff and boldly declared that he was changing his mind and called for Wisconsin to upset Stanford. 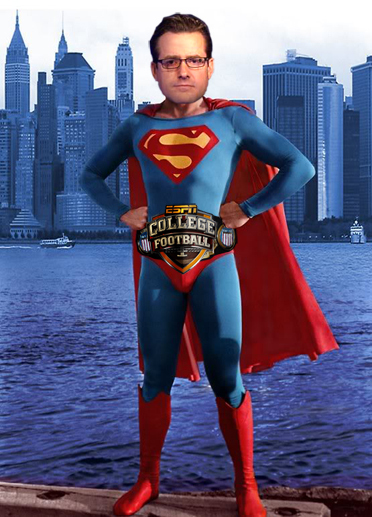 Maybe you thought nobody would notice, but listen up McShay: I am here to hold you accountable. Therefore, you will be entered into the record going 21-14 for all eternity. One last piece of business before we crown our champion. Please make sure to shame Mike Greenberg for going 13-22 on bowl picks. That is an all-time low as far as I know, and he was the only person to have a losing record. Now let us crown our champion… or should I say champions. This year, Robert Smith and my girlfriend Jennifer both put up 25-10 records in picking Bowl Games, and thus they will be our first ever BOWL PICK’EM CO-CHAMPIONS!!! Congratulations to the both of you. Jennifer has already received her congratulatory fruit basket. Robert Smith, if you are reading this, please be on the lookout for the congratulatory cheese platter I have sent you. It was a great bowl season, and we will be back soon with the yearly results! 2012-13 Bowl Season: BCS BIG BOARD BONANZA! The day has finally arrived folks. Tonight is a very bittersweet night for college football fans and insane gamblers alike, as we crown this year’s champion and put the sport to bed for 8 months. For this reason, we must make the most of it and savor every minute of today, which also means it is time for Cole’s BCS BIG BOARD BONANZA WITH PICKS AND OTHER THINGS!!! I will be updating all day long burning up the DVR to make sure I get you the updates on who is picking which team in tonight’s big game. I will be taking you right up to kickoff where we will *HOPEFULLY* get one more headgear pick from Coach Corso before college football hibernation. So make sure you check back throughout the day because who knows how things will develop. With a current tally of 36 votes, our panel of experts is currently sitting at 24-12 in favor of Bama over Notre Dame in tonight’s game.